Identity of this organism from gram stain? I am really stuck on the image I took from a gram stain of an organism I grew in the lab. 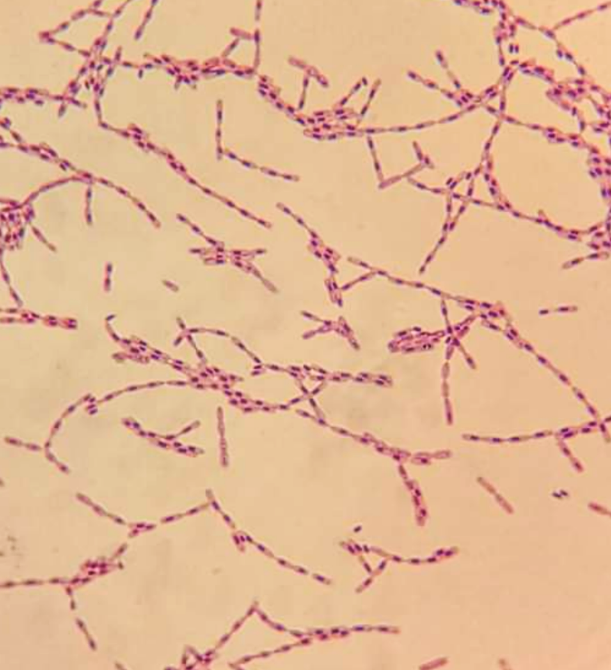 At first I thought it was gram negative spore-forming bacilli but after closer inspection Im now really unsure and i can't find any images similar to it online. Im just wondering if it is actually a bacteria and if it i is it gram positive or negative spore-forming or encapsulated? Any help on this would be greatly appreciated thanks!